A squad of eight Year 6 children took part in this competition and played fantastically well! 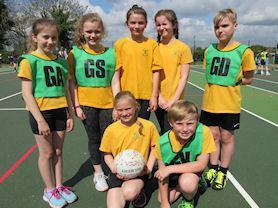 They won three out of four matches and were only beaten by the overall winners. A huge thank you to our super-coach Becky Greaves for getting the team in such good shape!